September 12th is a special day, and not just because it is my birthday, but because in Nicaragua, where I grew up, it marks the beginning of a week of festivities that celebrate "La Patria", the Fatherland. This week, full of national pride, commemorates Nicaraguan independence (15th September, 1821) from the crown of Spain, and the September 14th of 1856 victory over Tennessee born, ex-confederate soldier, and filibuster William Walker who, taking advantage of the 1854 civil war between the Legitimistas and Democratas, set out to "conquer" Nicaragua (would be Cortez that he was) and installed himself as president of the newly independent Republic. "La semana de la Patria", the week of the Fatherland also commemorates Nicaragua's "discovery" by Columbus: In his fourth voyage, as he sailed along the Caribbean coast of America looking (still) for a passage to the Indian Ocean, Columbus was caught in a month-long storm that almost sank his caravels. On September 12th of 1502 the storm abated as they rounded a cape which Columbus named "Gracias a Dios" (Thanks be to God) in thanksgiving of their deliverance from those "Honduras" (deep waters). The cape was the first contact Columbus made with the Nicaraguan territory, which on 25th September of the same year, after landing on the delta of the Rama river, he claimed for the crown of Spain. Pre-Columbian Idol at the Museum Convento San Francisco. Granada, Nicaragua. The history of the Nicaraguan conquest is as brutal and bloody as it was everywhere else in the American continent. Most of the indigenous population was decimated by forced labor, violence, or disease. 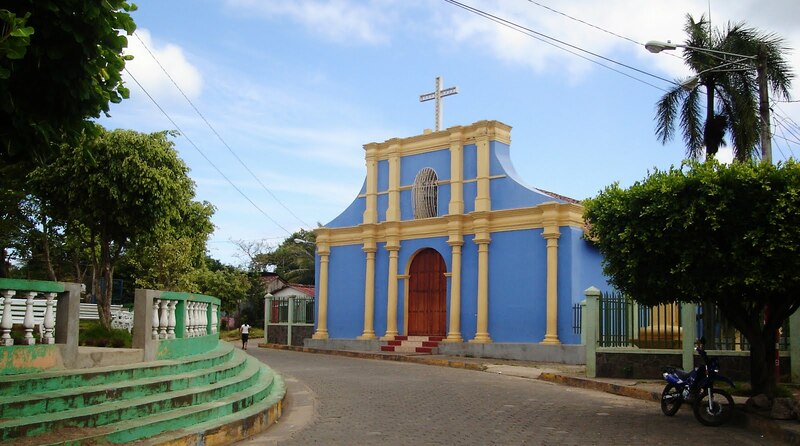 Nicaragua today is inhabited by "mestizos", people of mixed Native and Spanish descent, who celebrate, despite the tragic demise of their Native ancestors, the discovery of their land by their Spanish fathers. History is after all written by the victors. 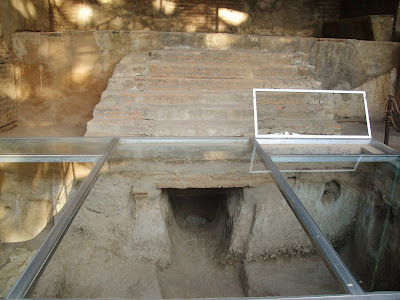 The crypt of the Church of La Merced of Leon Viejo, where the ruthless Governor Pedrarias Davila "Furor Domini" (The wrath of God) was buried. Leon Viejo was destroyed in a volcanic eruption in 1610. 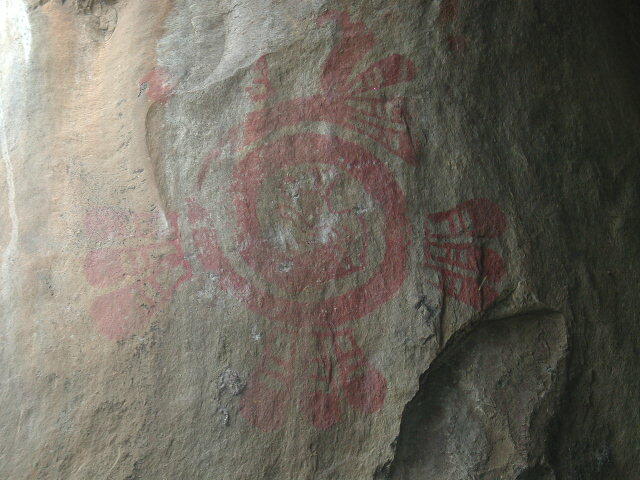 Culturally very little remains of Nicaragua's aboriginal past. Besides enclaves in the Atlantic Coast (home of the Miskitos, Zumos, and Ramas) it is extremely difficult to find people who can still speak the ancient languages, who keep the ancestral traditions of the Nahual, the Chorotegas, the Nagrandanos...but not impossible. 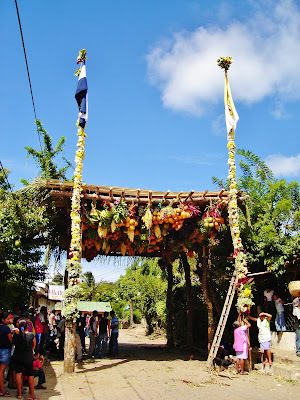 The town of Subtiaba and their "cacique de vara" (chief) endures in Leon; the 400 year old Tamarindo tree, where the noble chief Adiact was hung by the Spaniards, still stands in its main plaza, and is revered by the Subtiabas as a symbol of courage. Subtiaba is the keeper of legends and myths. 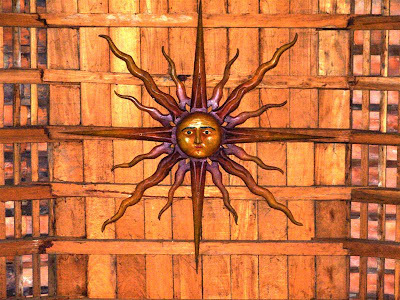 The Sun god still adorns the ceiling of the church of San Juan Bautista, founded circa 1700. 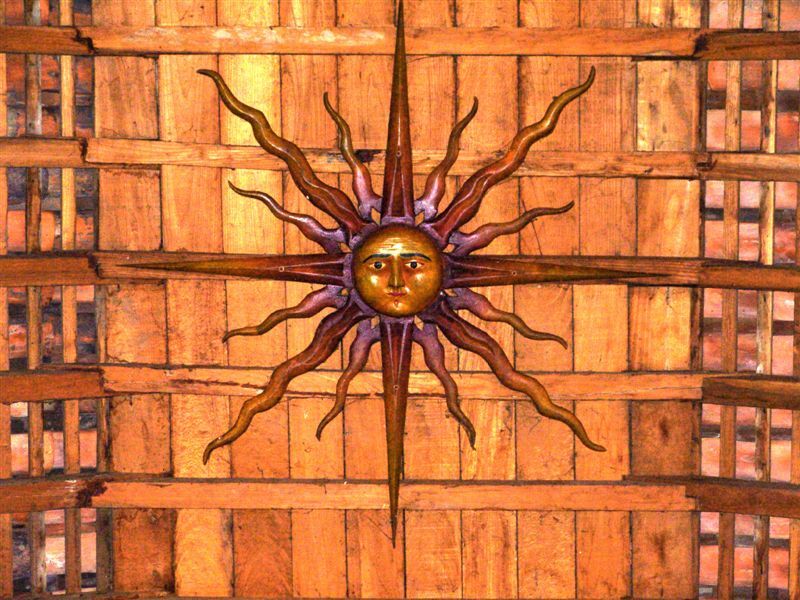 The image of the Sun god was meant to lure the Subtiabas into Christianity. Subtiaba, Leon, Nicaragua. Image by manfut.org. 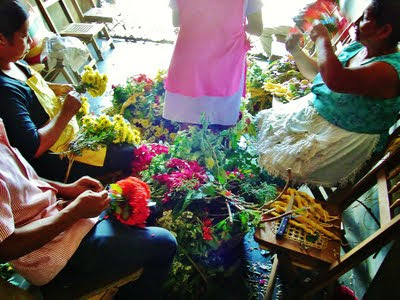 Women in Catarina prepare garlands for the feast of San Jeronimo. Catarina, Masaya, Nicargaua. 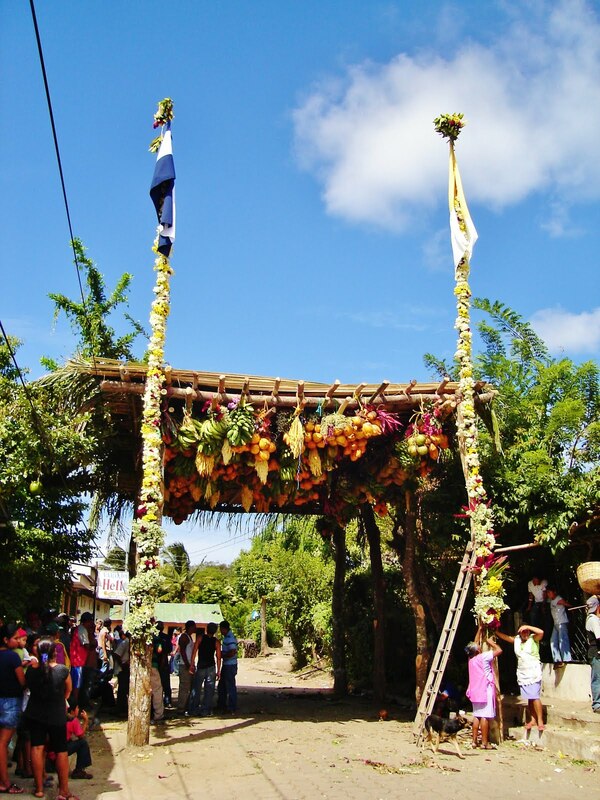 The people of Catarina prepare the altar for the festivities of San Jeronimo. Catarina, Masaya, Nicaragua. The volcanic lagoon of Catarina. 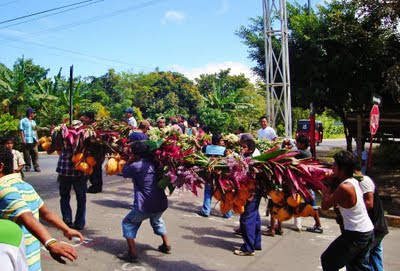 Across the road from Catarina, the tiny town of San Juan de Oriente is governed, like Subtiaba, by a "cacique de vara". 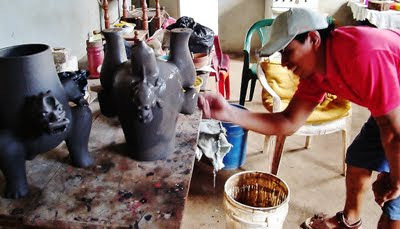 San Juan de Oriente keeps one of the most precious traditions of the whole country: Pottery. It is through the pottery in the archaeological record that many of the beliefs and customs of the Nicaraguan peoples are understood. The art of pottery in San Juan de Oriente has been passed down through the generations and is practiced by certain families and guilds. Pottery exists there in many forms, from the contemporary to the traditional. The Church of San Juan Bautista in San Juan de Oriente. 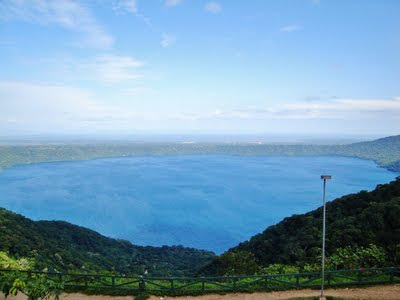 Masaya, Nicaragua. Men from San Juan de Oriente travel across the road to Catarina to deliver offerings for the feast of San Jeronimo. San Juan de Oriente, Masaya, Nicaragua. 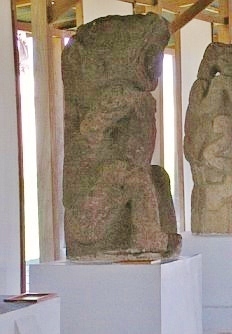 The carved "tinaja" or vessel (left) depicts a man offering maize to his gods. The tinaja, a symbol of my heritage, appropriately sits next to an image of the ship that brought my husband's great-grandfather to the US. This diminutive "tinaja" depicts the Feathered Serpent Quetzalcoal, Lord of the East and Morning Star. It sits next to another Nicaraguan artifact and a glass pencil from Murano, Venice. Another Feathered Serpent is represented on this cup, which today holds the instruments of my trade. Of all the pieces we have collected none is finer than the Polychrome Ceramic produced by the Bracamonte Family. Led by master potter Gregorio Bracamonte Nicoya, and faithful to the Nicoya and Potosme tradition (the original inhabitants of the region), the Bracamontes depict on the tinajas and tripods, scenes of daily worship and daily life, and the likeness of their ancestral deities. I have had the fortune to meet one member of the Bracamonte clan, Francisco, whose ceramics are displayed at the National Museum in Managua, side by side with their pre-columbian predecessors. 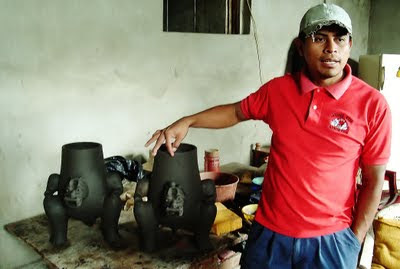 Francisco, who learned the trade from his uncle Gregorio, turns the pottery wheel at his humble home and studio down the street from the church of San Juan Bautista. Mr. Bracamonte explains to us the process of turning clay into tripods. He then bathes the tripods with a coat of watery clay. Feathered Serpents on the pottery of Francisco Bracamonte. 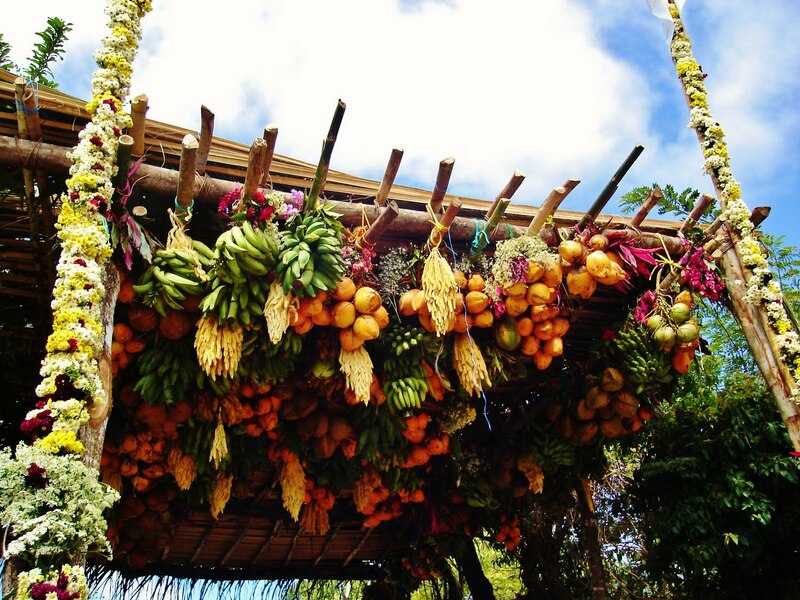 According to Mayan mythology the Feathered Serpent mixed his blood with corn to make the flesh of the first humans. 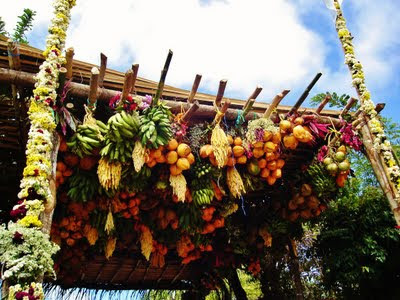 Nahual myths tell us that Quetzalcoal taught humans the art of agriculture and commerce. The Feathered Serpent had many incarnations (from Canada to Peru) and was associated with the spiritual world and the rebirth of nature; in his body the sky, (quetzal bird) becomes one with the earth (the serpent coatl). He has been called "god of the waters and the wind", "Lord of the East", "the creator", "prophet and priest", "morning star". Quetzalcoal guards the waters of the Asososca lagoon. Managua, Nicaragua. In Mesoamerica the myth of Quetzalcoal reached messianic proportions. Legend told of a white skinned king-priest who, disillusioned with people, abandoned his sacred city and disappeared into the waters; but first, like the sun, he promised to return from over the ocean in the East. Many an aboriginal chief hesitated before the conquistadors, fearful to turn away a possible child of the Feathered Serpent. And so it was that after centuries of protection, the progeny of Quetzalcoal became the Nahuals's demise. On this day of my birth, when Nicaragua celebrates her discovery, her birth into "mestizaje", I too celebrate my blended past. To deny the Spaniards would be to deny my father, to deny the Chorotegas would deny my mother. My veins carry the blood of Pedrarias, but my heart beats with the strength of Tezoatega.